The artist Mark Bulwinkle is widely known for his exuberant sculptures in uncoated steel. His signature series in the East Bay Bridge shopping plaza (or, as he calls it, Bulwinkle Plaza) surely gets as many viewers as any work by an Oakland artist. His smaller pieces grace many homes and gardens. Today Bulwinkle’s studio, Bulwinkleland, is in high West Oakland, but for many years he installed sculptures all over his home on Manila Avenue. 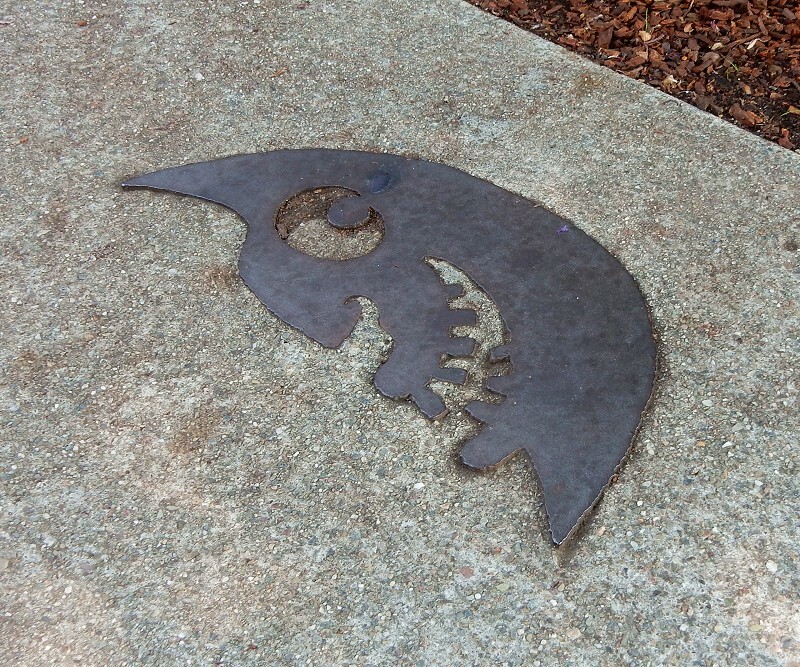 Eventually the house was shrouded in a fantastic frizz of welded rusty steel, each bit a piece of artwork, that resembled a giant crouton gone flagrantly moldy. I lived nearby and never tired of it. One day he decided to stop encrusting and start deconstructing. Soon enough the house was ordinary again, then he sold it and moved on. 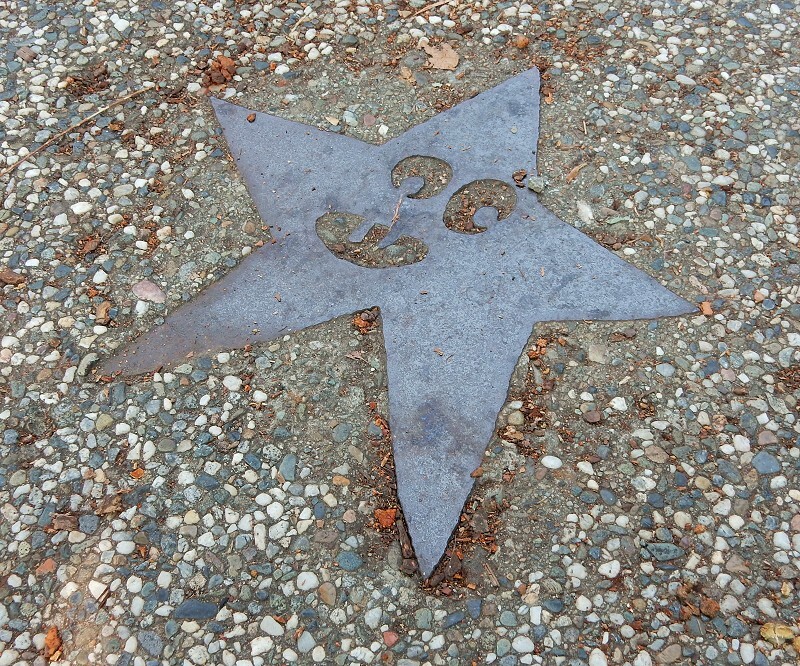 Left behind were these two works embedded in his neighbors’ driveways: a moon and a star. These remind me of the dreamlike spectacle the house presented at night, its great fringe of steel branches silhouetted against a moonlit sky, or backlit just as impressively by low Bay clouds. This entry was posted on 19 August 2016 at 8:03 am and is filed under Streetscape. You can follow any responses to this entry through the RSS 2.0 feed. You can skip to the end and leave a response. Pinging is currently not allowed.